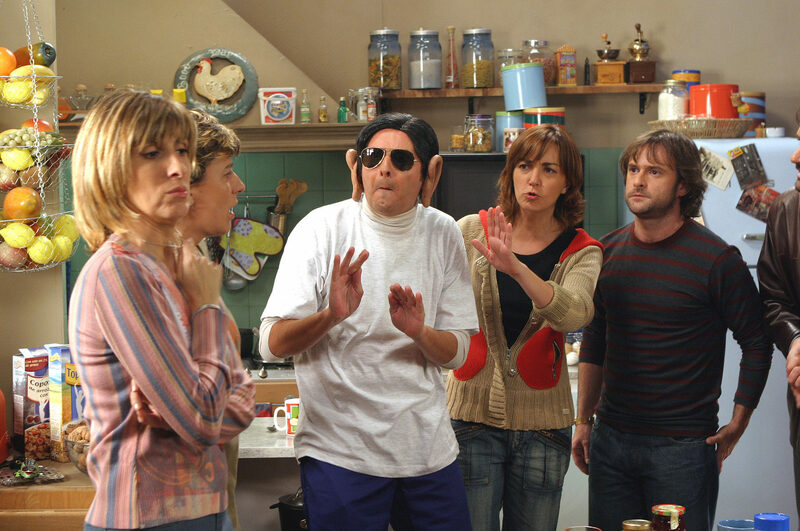 The company’s first experience with television is Jet Lag, a sitcom created by T de Teatre and Cesc Gay in the Spring of 2000. The show portrays the lives of five friends in their thirties who are facing the challenges of modern life with a great dose of humor and sensitivity. 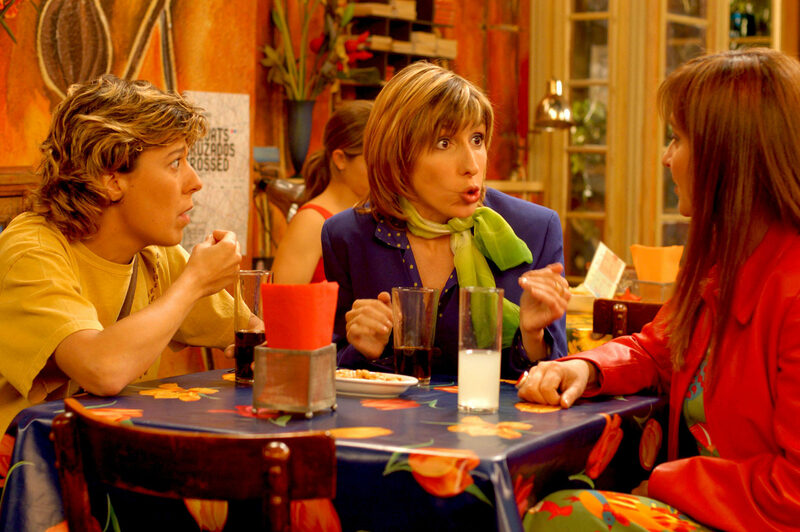 Sílvia, Carla and Esther share a flat on the iconic street of les Rambles, in Barcelona. The three women work as air hostesses for an airline and are flying all over the world. Esther is the only one with a more or less stable romantic relationship. Andreu is her partner and often hangs out at the flatshare. Diana is the neighbor. Her apartment door is right in front of the girls door. Diana does not have a job, nor she wants one. She is unemployed. An unfortunate domestic accident for which she was not responsible has recently changed her life and now is a widow. Mariona is Esther’s sister. After some years living in Madrid and right before tying the knot she cancels the wedding and goes back to Barcelona. Mariona has decided to call her sister’s sofa her new home until she can find a better arrangement. Meanwhile she works at Mario’s bar, where the girls all often hang out with each other. Jet Lag shows us the world of five women who have already turned thirty, from the urban daily life’s perspective. An ironical and sweet portrayal of these women and their intimate world. 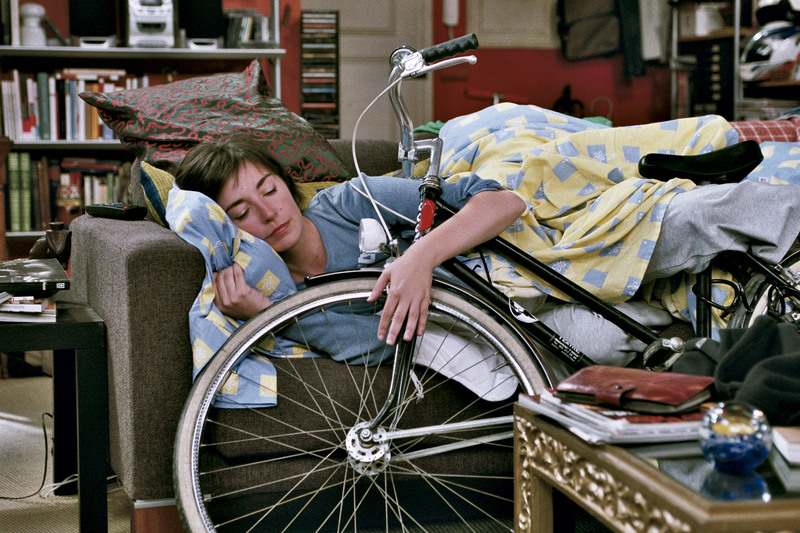 Jet Lag became one of the most popular shows on Catalan television (TV3), with 81 aired episodes, 695.000 viewers each season and an audience share of 25,9%, a success story for a beloved tv show. Screenplay: Tomàs Aragall, Albert Espinosa, Núria Furió, Cesc Gay, Míriam Iscla, Lluís Llort, Héctor Lozano, Eva Mor, Roser Moreno, Jordi Pérez, David Plana, Sergi Pompermayer, Roger Rubio, Mercè Sarrias and Joan Tharrats. And the technical staff of Televisió de Catalunya. Produced by Televisió de Catalunya with the collaboration of T de Teatre.